Many people realize that America’s prisons are overcrowded and that having a criminal record—even one linked to a minor crime that’s 10 years old—can place innumerable hurdles in one’s way in terms of finding employment and housing. However, many do not realize that individuals with criminal records are also frequently denied access to crime victim programs; an issue that affects a surprising number of people, as addressed in a recent USA Today article. This practice ends up leaving a number of families without the services and healing that they need, and that tends to disproportionately affect underserved minority groups; in particular, African Americans. Black victims are notoriously less likely to be seen as crime survivors and have their perpetrators brought to justice. 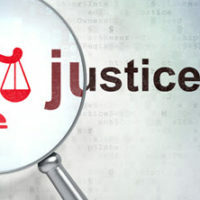 While crime victim compensation funds allow for money to be set aside in every state to help crime victim survivors pay for health-related and other necessary services, access to these funds, first and foremost, requires a police report, which presents one very major hurdle for those who already have a history of not being able to trust the police. In addition, the funds are often accessed through the state prosecutor’s office, potentially hindering domestic violence victims in particular who are reticent to testify against their perpetrators. The result? Reportedly, only half of all violent crimes are reported to police, and half of those are prosecuted; placing victims of color at a distinct disadvantage. In addition, many of these crime victim programs outright disqualify survivors with a criminal record, providing yet another disservice to communities who are already more frequently targeted for arrest in the first place. It is no secret that people who engage in crime need access to reform and employment opportunities far more than jail time. In so many cases, the perpetrators in these cases are victims of crimes themselves. Instead, what historically resulted from particular crimes committed were stiffening punishments and mandatory sentencing laws passed in the name of lost loved ones. Just look at the example of the “three strikes and you’re out” felony law in California, which imposes life sentences for petty crimes. Equating “justice” with harsh punishments kicked off a system of overwhelming mass incarceration, where America was left with the highest incarceration rate in the world, and one in seven prisoners is serving a life sentence. Do not live in fear simply because you have a criminal record. If you live in New York, take advantage of the legal opportunity to get your record of conviction sealed. For assistance and a free consultation, contact Levy & Rizzo, LLC, The Clean Slate Attorneys today.